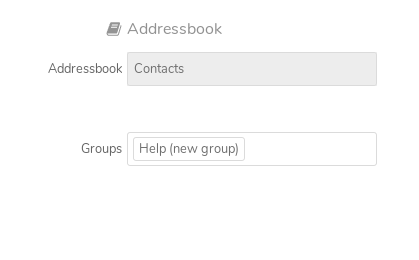 Hi @Pragmethik you can click on the drop box at the right hand side of the screen with ‘Groups’ written on it. A list opens up with different categories. Select one of the an the contact will be added to the group. To add a new group type a name and that is added as a group name. Thanks - fact is I hadn’t any groupe created and I wanted to create a group from the cloud interface. I had to type into the field the name of the new group. But the sync is working. I have checked it with simple contacts. There you can see the group field. Hi @Pragmethik please can you raise it as an issue in gitlab . It will be taken as an enhancement request. Yes groups are not yet supported by native Contact app. 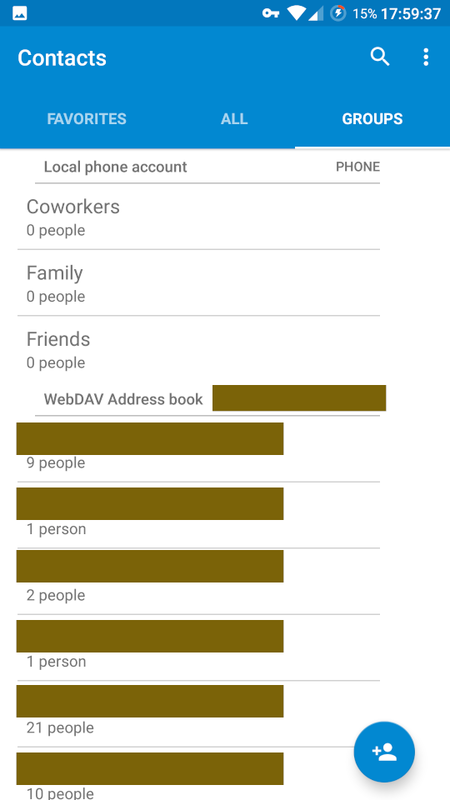 A workaround is to create many address books. 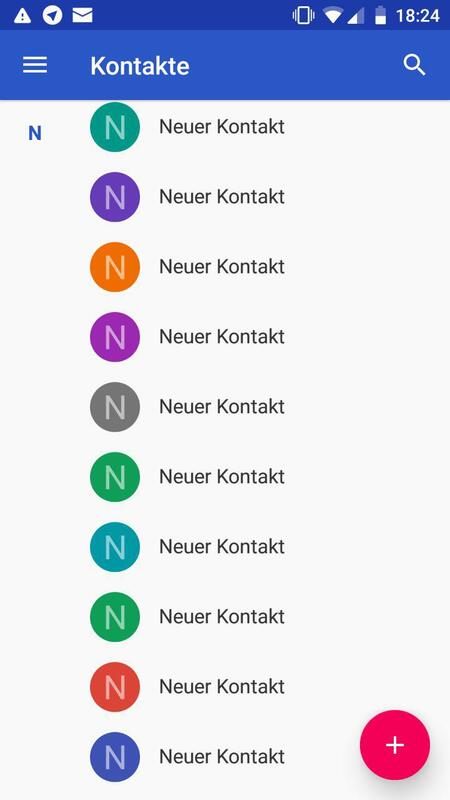 By the way, if you want to be “group ready” for next versions of Contact app, let me to describe what i did. repeat 3. et 4. for each address book. Click “synchronize”, then check /e/ nextCloud interface, everything is sorted. Your contacts are ready to be managed by any ‘group compatible’ contact app. In the current version 1.4.22 of the contact app (on Nougat) one can edit groups of contacts (also creating new groups), and they are displayed in a separate tab. Syncing of new groups from and to my Nextcloud-server works also for me. I did not test this with the ecloud-Nextcloud server, but with my own server, groups work out of the box for me. The version of Contact on the latest Redmi 3s build is 1.7.21 but it does not have this feature or am I missing something. 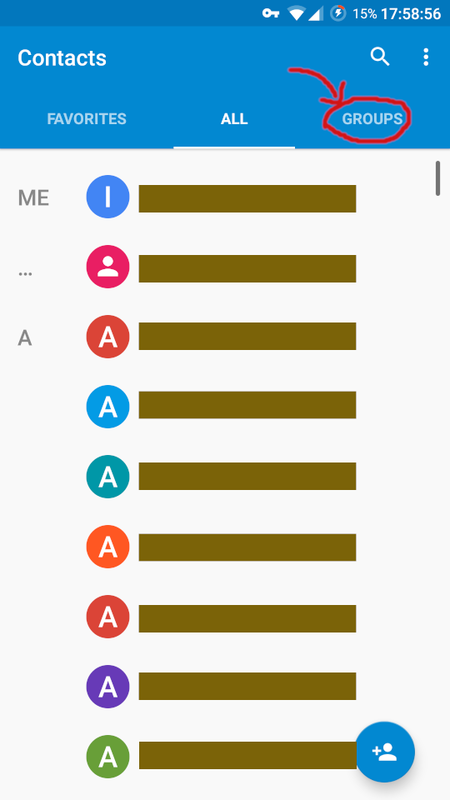 The build on the MiA1 also has the same number. Sure - here they are. 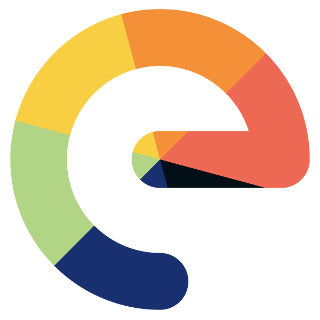 Which version of the /e/ ROM and on which device are you seeing this version of the Contact app. v0.5-201904066338 on LeEco s2, but also on previous versions. Thanks - nougat builds have this feature while oreo builds don’t? There is a tag called Label in the Phone Contact App. Does not seem to be syncing with the cloud. Hi @Pragmethik please can you raise this as an issue in Gitlab if not already done . This will be taken up as an enhancement feature.